LSD is not considered addictive. But users can develop tolerance and a psychological dependency on it that may require professional treatment. Treatment programs can help people stop using LSD and other drugs. 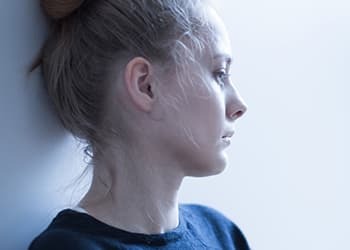 The most appropriate form of treatment depends on how much the person is abusing the drug, whether they abuse other drugs, and whether they suffer from mental health conditions. Even though LSD is not physically addictive, it can be psychologically addictive. Those who enjoy LSD’s feelings and sensory changes may want to keep using LSD to experience these sensations over and over. Hallucinogen use disorder is usually diagnosed in people younger than 30. Many who chronically struggle substance addiction will continue to compulsively use drugs even when that use leads to negative consequences. It is thought that distinct changes in brain circuitry may occur as a result of persistent drug abuse, which may diminish the ability of an addicted person to resist his or her compulsion for continued drug use. You take more LSD than you planned to take. You have had difficulty controlling your use of the substance. You spend a good deal of your time obtaining, using and recovering from the use of LSD. You fail to carry out major life roles in areas such as work, school or home because of your drug use. You continue to use LSD despite negative consequences from use. You give up or reduce other activities that were previously important to you, such as work, friendships and other activities. You use LSD under dangerous conditions, such as when driving. You continue to use LSD even though it causes, or makes worse, a psychological or physical issue. You have built a tolerance to the drug, so that you have to take increasingly higher doses to get the same effect as before. You experience physical or psychological withdrawal symptoms when you stop using. Numerous treatment options are available for LSD dependency. Inpatient rehab centers. Inpatient treatment may be necessary for LSD dependency. Some temporary psychiatric issues, such as the potential to experience acute panic with LSD use (i.e., a “bad trip”), may respond well to supportive management in the emergency room. However, if you compulsively use LSD, inpatient or residential treatment can be helpful, especially if you concurrently struggle with dual diagnosis issues such as mood disorders, anxiety or psychosis. Twelve-step programs. Meetings are free and widely available. Groups such as Narcotics Anonymous (NA) provide a supportive environment to help you maintain abstinence from using substances such as LSD. Twelve-step program participation is also a vital part of many aftercare regimens following other forms of treatment. Individual counseling. 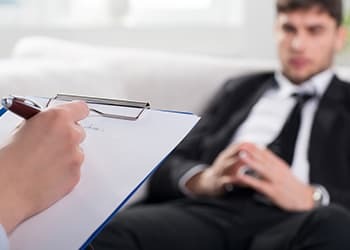 One-on-one therapy may involve cognitive behavioral therapy (CBT) approaches to addiction treatment, helping you to work on changing the behavioral patterns that trigger your use of substances, such as LSD. How severe your use of LSD or other drugs has become. How many times you have received some form of treatment for addiction. How easy it will be for you or a your loved one to take time away from the responsibilities of work and family. Your insurance or ability to pay out-of-pocket. Intake: Prior to beginning treatment, you are evaluated for the severity of your substance abuse issues and any mental health issues that you may have. The evaluation helps to determine if you need to be in a short-term detox program, if you need longer-term treatment or if you can be treated on an outpatient basis. Detox: Detox program lengths will vary, but they will likely last at least a few days. The focus is on ensuring that you are medically stable, and you are typically treated with some form of medication. Some detox programs also provide some individual and/or group counseling. Detox alone does not address the cause of your abuse or any underlying mental health problems. Group and individual counseling: Inpatient and outpatient treatment programs provide intensive group and individual counseling in a structured environment. The counseling is meant to help you discover why you began using drugs, to teach relapse prevention skills, and to build a solid program of recovery for you to follow throughout treatment and beyond. Aftercare: Many treatment programs will work with you on planning for and scheduling various methods of follow-up care when you leave the program. Aftercare activities can include 12-step programs, sober living communities and ongoing therapy. Pleasant experiences with LSD are called “good trips,” and some people report that the distortions of time and sensation feel good. They may even state that the trip was a religious or mystical experience. However, at times, a person who has taken LSD will have a “bad trip” and have frightening hallucinations, feel that they do not really exist or report feeling panicked and anxious for the experience to end. It’s difficult to predict what kind of experience a person will have on LSD, and repeated use increases the chance that someone will have a bad trip. A person who uses LSD regularly will quickly develop tolerance – even after just a few days of daily repeat use – and it will take more and more LSD for them to achieve the desired effects. Beyond developing tolerance, some who use LSD over a period of time may experience a few serious mental health consequences. Drug-induced psychosis. When a person takes LSD, it can cause ongoing distortions in the person’s perception of reality. These distortions can take place even when the person has not taken LSD recently. These can include difficulty recognizing reality, thinking rationally or interacting with other people.
. Licht, C. L., Christoffersen, M., Okholm, M., Damgaard, L., Fink-Jensen, A., Knudsen, G. M., et al. (2012). Simultaneous polysubstance use among danish 3,4-methylenedioxymethamphetamine and hallucinogen users: Combination patterns and proposed biological bases. Human Psychopharmacology: Clinical and Experimental, 27(4), 352-363.
. American Psychiatric Association. (2013). Diagnostic and statistical manual of mental disorders (5th ed.). Washington, D.C.
. Center for Substance Abuse Treatment. (2006). Detoxification and Substance Abuse Treatment.
. Center for Substance Abuse Treatment. (2005). Substance Abuse Treatment: Group Therapy.
. Substance Abuse and Mental Health Services Administration. (2015). Treatments for substance use disorders.
. Center for Substance Abuse Research. University of Maryland. (2013). LSD.